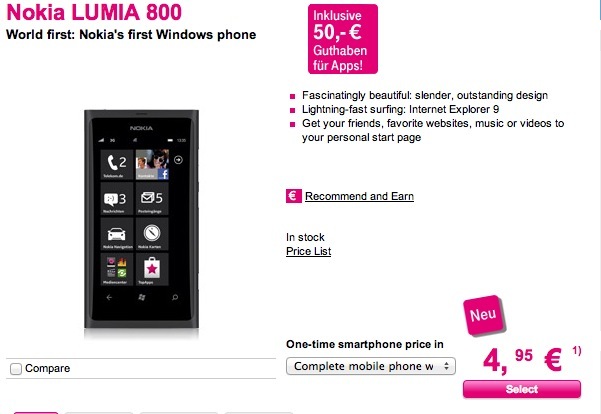 T-Mobile Germany is showing up several price plans for the Nokia Lumia 800, including a contract-free price of just 399.95 EUR. Contract plans are quite decent too. All Nokia 800s are ready now for sale. The only determining factor when you get it is when it can physically arrive from leaving the factories (and they left yesterday). Cheers XYZ for the tip. « NokiaWorld Day 2 – requests for things to cover tomo?